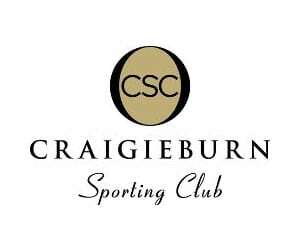 Privacy is a priority for the Craigieburn Basketball Association (CBA) and CBA understands the importance of protecting the personal information of its members, participants, clients, sponsors and associates involved with the Club. The term ‘personal information’ used within this Policy refers to information regarding an individual(s) whose identity is apparent or can be reasonably ascertained from the information. CBA only collects personal information when it is knowingly and willingly provided by basketball members, participants etc. Personal information is collected by CBA to enable it or third parties to provide services and benefits, maintain necessary records and to provide necessary information. Information can be collected in many forms, including but not limited to hard copy, verbal, internet and website. CBA uses and discloses personal information (such as name and address details) for the purpose of providing services to members etc. or for commercial purposes where consent has been obtained to do so. Such commercial purposes may include the disclosure of personal information to CBA sponsors. CBA may also be required to use and disclose personal information to other basketball entities such as Basketball Victoria or similar bodies where it is a requirement under CBA’s obligation to these entities. Unless such disclosure is authorised or required by law, Tribunal hearings or similar CBA will not disclose personal information to other persons without consent. Committee Members, Coaches, Team Managers, Domestic Club Presidents and the like may have their contact information published on the CBA website, promotional documentation and other CBA publications. Photographs taken at CBA games and venues may be published by CBA however names or other personal details identifying the person(s) in the photograph will not be published without content of the individual(s) unless that person is a known public figure. CBA takes all reasonable steps to keep personal information secure and to protect that personal information from misuse or loss and from unauthorised access, modification or disclosure. Users should be aware of the security risks in transmitting information via the internet and assess these potential risks when using on-line services. Any information transmitted to CBA of the internet is done so at your own risk. You have a right to access your own personal information the CBA has to ensure that it is correct.